How Much Do Dating Sites Cost and Which Ones Have Free Trials? ​​Online dating sites have revolutionized the way singles meet, improving the chances of finding love and companionship for millions of people around the world. However, dating sites are not one-size-fits-all, so you might want to look around before you commit to be sure that it’s right for you. That’s where free trials and pricing plans come into play. What can you learn about a site through its free trial, what plans are on offer, and how much will they cost you? We’ll look at the trials, features and pricing on 5 of the leading dating sites on the market. With some 40 million singles worldwide, 3 million messages sent daily, and an advanced matchmaking system that links like-minded singles, Zoosk is one of the premeire dating sites. It caters to singles of all ages, from all walks of life—and before signing up for a plan, you can try it out for free. Zoosk’s free trial is not limited to any time frame, and it allows you to get a pretty good idea of what kind of people are in your area. You need to provide some basic information about yourself to sign up, fill out a short questionnaire, and upload a profile picture. The process is far less invasive than some other dating sites, and within a matter of minutes you can start perusing profiles of singles in your area for free. In addition to browsing the profiles of singles near you, you can also see which singles have expressed interest in your profile. However, this is about as far as you can go without switching over to a premium plan. The free trial does exactly what a free trial is supposed to do—it lets you see if the site has the type of singles that appeal to you. You won’t be able to send messages or chat with other users unless you opt for a paid plan. If you’ve decided that Zoosk is right for you, then you can get a single month subscription to check out the site’s full range of features. But if you want to commit for a longer period, you’ll get a better deal. With a premium Zoosk plan you’ll be able to “Like” someone’s profile, send them a message, or a virtual gift. There are 3 ways to browse profiles: manually, with Zoosk’s Carousel, or with its patented Behavioral Matchmaking system. Manual scanning of profiles can be pinpointed with filters, so you can narrow down your search to include singles with particular traits, interests, or from certain geographical areas. The Carousel is a quick Tinder-like search that allows you to rapidly swipe through profiles, starring those you like and waiting for them to make the next move. Zoosk’s Behavioral Matchmaking is perhaps its most impressive feature, using machine learning technology to find you increasingly more accurate matches by studying your preferences and dislikes. Match.com is one of online dating’s originators, first gracing the internet with its presence in 1995. The site has a slate of impressive features, and its 30 million members are from all over the dating spectrum, so you’ll have ample opportunity to find someone for you whether you’re an older single, gay, straight or have a preference for a certain religious affiliation, like Christian or Jewish. Match actually offers 2 different free options for those who don’t want to dive straight in and sign up for a paid plan. The first is a 7-day trial membership, which gives you all of the benefits of a paid member, for free. You can send and receive messages and take part in one of Match’s coolest features: singles events which are held periodically in locations throughout the country. You will have to enter your payment details on the site in order to take part in the free trial, but you won’t have to pay anything as long as you cancel by the end of the 7 days. Otherwise, your membership will automatically renew at the 1-month subscription price and your card will be charged. If you prefer not to share your payment information, there is also a Match free plan, which is pretty limited in scope. You’ll be able to browse through profiles to see what kind of people are on the site, but you won’t be able to communicate with them, or set up dates. Match is pricier than Zoosk, but you can still get a good deal if you opt for a longer contract. Match’s most attractive offer is its 6-month guarantee. If you don’t meet someone special during the duration of your initial 6-month membership, Match will gift you another 6 months for free. As a paid member of Match, you will enjoy expert matchmaking and extensive search filters, a variety of live singles events and trips, a live chat feature that helps new users get started, a cool reverse match feature that lets you see users who are searching for people like you, and more. If you are a 50+ single, and you’re looking to find someone special in your own age group, then OurTime is the perfect site for you. It’s designed with user-friendliness in mind, and with some 1.4 million visitors each month, it features an impressive pool of mature singles. You can sign up for a free OurTime account that doesn't require you to enter payment information, and isn’t limited to a certain time period. With a free account, you can create a profile, and browse other people’s profiles using OurTime’s filters. This will give you a good idea of OurTime’s member pool, but it won’t allow you to actually make a connection with anyone. For that, you’ll have to sign up for a paid plan. OurTime allows you to sign up for either 1 month or 6 months. If you sign up for the longer plan you’ll get a 40% discount and enjoy a couple of extra perks. Unlike other sites, OurTime’s prices are calculated on a weekly basis. Premium OurTime users can search for singles themselves, or get potential matches sent to their inbox based on their preferences. The more information you provide about yourself and what you’re looking for on your profile, the more exact the matches will be. OurTime helps you through the profile-building process, providing suggested text which you can then customize. If you’re interested in someone, you can send them a private message, talk to them on live chat, send them a “flirt,” which then puts the ball in their court, or even send them a video if you think you make the best impression that way. OurTime also features a number of special features that can be purchased with “coins” that you can buy on top of your weekly subscription price. These features include MatchMe, which will place you in other users’ daily matches, and PromoteMe, which makes sure your profile gets more exposure in searches. If you opt for the 6-month subscription, you also get your profile and messages highlighted, and you receive a notification when messages you have sent are read. EliteSingles is made for educated, professional singles who don’t want to waste time with people who aren’t in their same state of mind. The ideal user for the site is 35+ and must be willing to fill out an in-depth personality questionnaire that helps in the matchmaking process. The site is significantly more expensive than most of its competitors, but perhaps because of this, it boasts an unparalleled 80% rate of university graduates in its singles pool. Because the site requires a more serious monetary commitment from premium members, it has a free registration track so you can navigate a bit before commiting to a paid plan. The free plan lets you enjoy all of the site’s features, except for sending messages to other members. This means you can take the personality test, create a profile, receive suggested matches and even send smiles and likes to singles you fancy. But, if your goal is to go out on dates and find a partner, you’ll have to sign up for a paid plan. EliteSingles is a high end online dating site and its prices reflect this. It’s one of the ways that the site ensures its pool of quality singles who are serious about finding a lasting connection. However, EliteSingles gives users a significant discount if they sign up for a longer period, so you won’t have to break the bank to join. With an EliteSingles premium subscription, you’ll be able to send unlimited messages to potential matches and see all pictures on the site—some pictures are blurred if you’re using EliteSingles’ free version. EliteSingles’ premium users are sent handpicked matches based on the extensive personality test that members take upon sign up. A paid subscription also gives you the chance to use EliteSingles’ unique icebreaking features, like “Get Acquainted,” which allows you to exchange 5 multiple choice questions with another member you’re interested in dating. You can also see who has visited your profile, which helps if you’re a little shy and need a confidence boost. If you’re looking for a dating site that caters specifically to black singles, then BlackPeopleMeet is the destination for you. It’s the largest such site in North America, with some 1 million members and more than 15 years of experience helping people find love and companionship. The site is very reasonably priced compared to its competitors, and there is also a free option for those who want to try it out first. Does BlackPeopleMeet have what you’re looking for in a dating site? Well, you’ll be able to find out without having to fork over your payment details. A free account allows you to build your own profile and browse the profiles of other users. To sign up for a free account, you’ll be asked to answer some very basic questions, and you’ll have the option to upload a picture of yourself as well. You can further add to your profile by writing a few sentences about yourself and, if you want, include information about your religion, lifestyle choices, hobbies and ethnicity. While a free membership is a good way to see what BlackPeopleMeet has to offer, you won’t be able to connect with other singles unless you opt for a paid subscription. 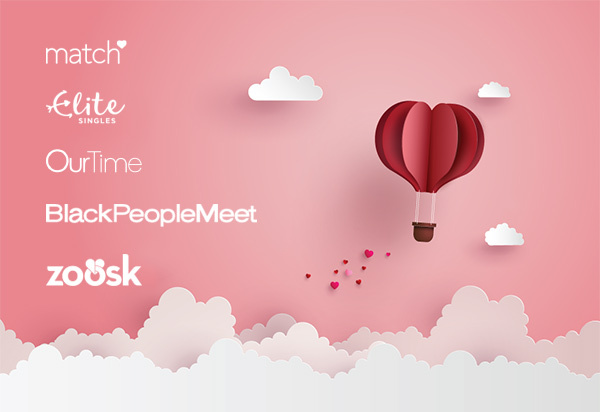 If you want to test out BlackPeopleMeet’s full functionality, including the ability to send messages to potential matches, you can try a 1-month subscription, which is only $16.75. You’ll get an even better price if you opt for a 3- or 6-month plan. Paid users receive 5 suggested matches daily based on the information they’ve provided in their profile, or they can search for singles using keywords and filters. You can reach out to singles you’re interested in through email, audio message, video message or live chat. For those who need some inspiration to start up a conversation, there are useful “Message Ideas,” which are great icebreakers. For an extra fee, you can buy “Promote Me” tokens to make sure your profile is higher up in search results. Most of the top dating sites have some sort of free plan that lets you build a profile and browse singles. This is a risk-free way to check if a site is easy to use, and if it has a good selection of singles in your area. Match is unique in that it offers a true free trial, in which you can use all of the site’s functions, but it only lasts 7 days. The truth is, free plans and trial memberships are a nice tool for checking a site out, but if you want to actually connect with other singles, go out on some dates, and find love, then you’ll have to spring for a paid subscription. Some of the 1-month subscriptions can be a little pricey, but if you opt for a longer plan, you’ll get a much better deal, and you’ll give yourself a better chance to find somebody truly special. For more information on pros, cons, features and prices, check out our in-depth reviews of the leading online dating sites.